Some of our readers asked who is Impostor. Impostor is my 2D image. She has been around for a while – since back in August 2014. She came about because Mummy was going to India – and she had this wish to have her photo taken in front of the Taj Mahal with me – but it was never going to happen. So she thought she would have me printed in 2D – she didn’t want to do something called photoshop, so the 2D was better than that – she thought. 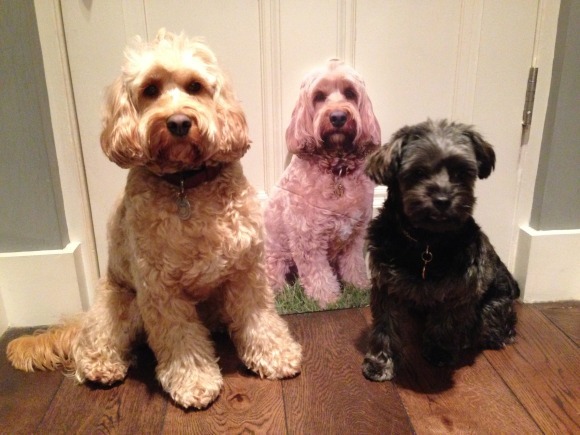 Mummy told them that Impostor is not a dog. She is only a printed version of me. 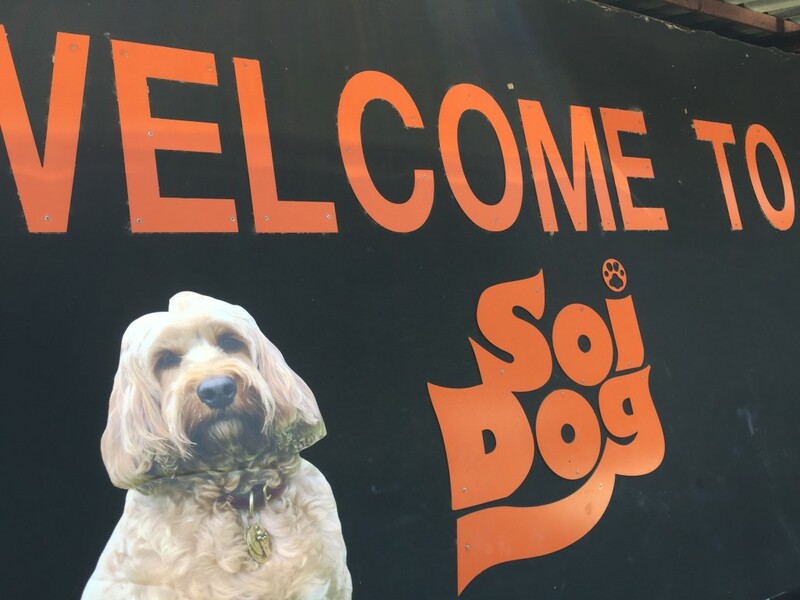 But they insisted – no dogs! I guess Impostor looked pretty real after all. 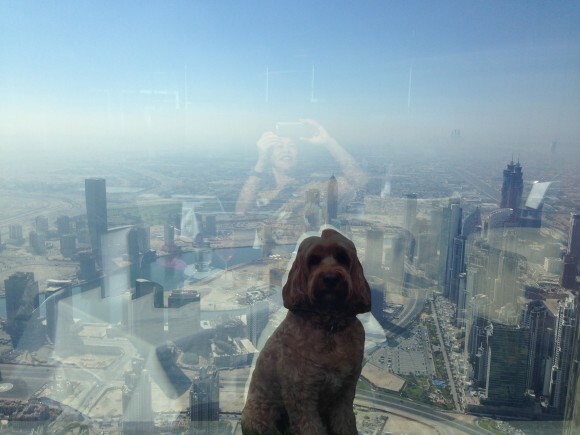 After all that, Impostor was photo-shopped onto the photo by the staff at the lovely hotel she was staying in. Since then her travels continued. 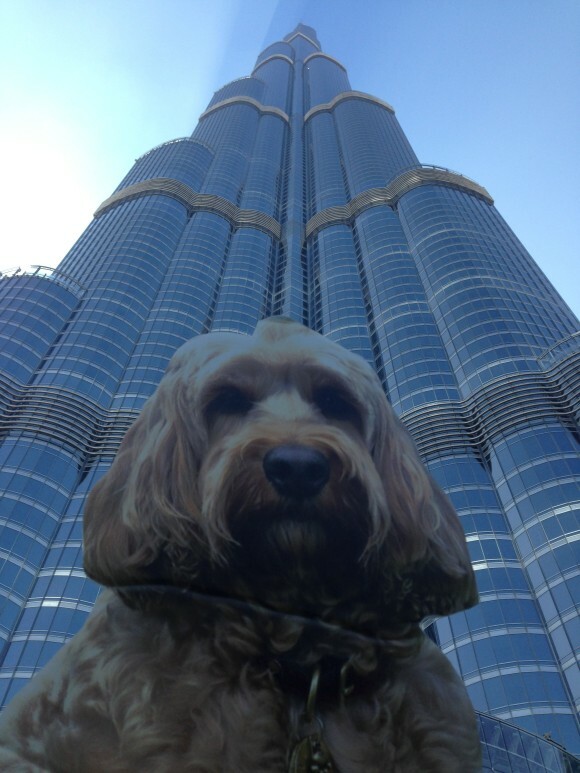 She went to Dubai and visited the tallest building – Burg Khalifa They went up to the 122nd floor. 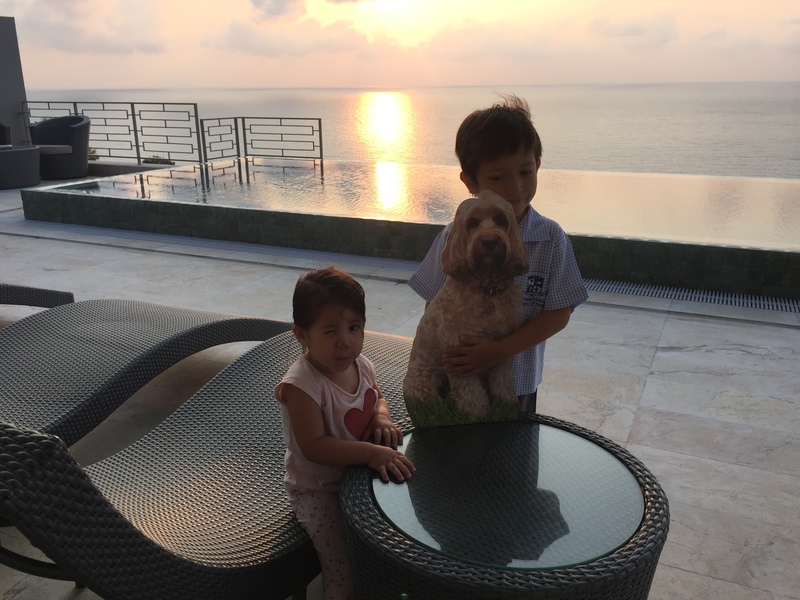 She has since been to Ko Samui to visit Little Tyke and Mini Tyke on two occasions. 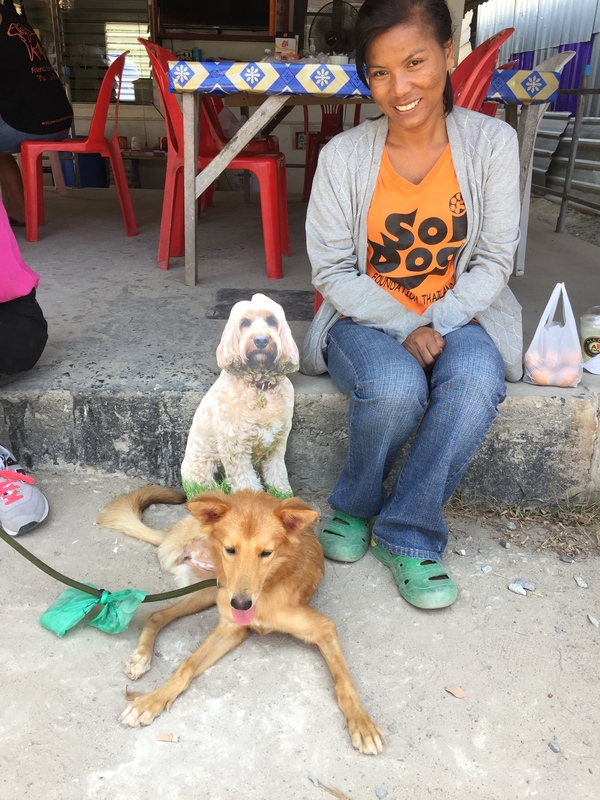 She even went to visit Soi Dog in Phuket. Well done, Impostor! 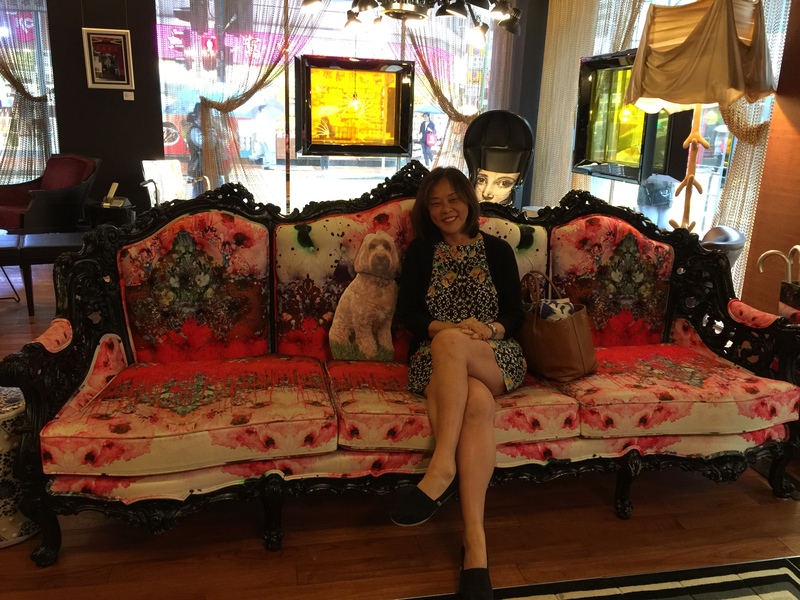 When she was in Taipei she met Minnie, a real sniffer dog at the airport And in Hong Kong – She didn’t get to go anywhere beside staying in the hotel because it was raining. You see, that’s the disadvantage when you are made of cardboard! But then there are also advantages – she’s easy to pack! Sometimes she didn’t go far. 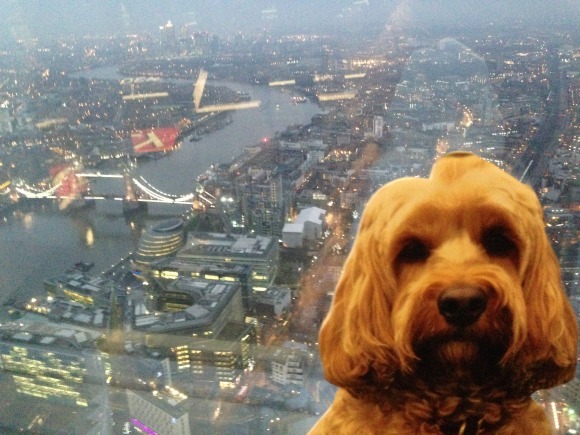 Mummy couldn’t take us to The Shard in London, so Impostor went instead. 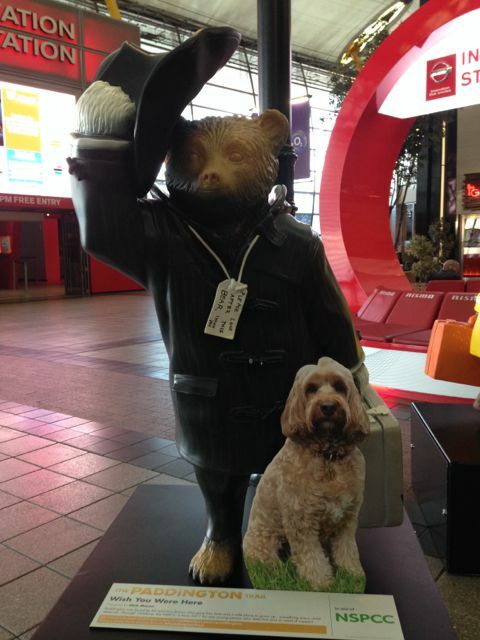 And when we were doing the Paddington Bear Trail – we saw almost every one of them scattered around London. Either George or I managed to have our photos taken except for one. Dogs were not allowed in the London O2 Arena so Mummy took Impostor instead. This was called “Wish You Were Here” by Nick Mason – that sounds about right! In the end Impostor became quite helpful. She helped with our little missions. 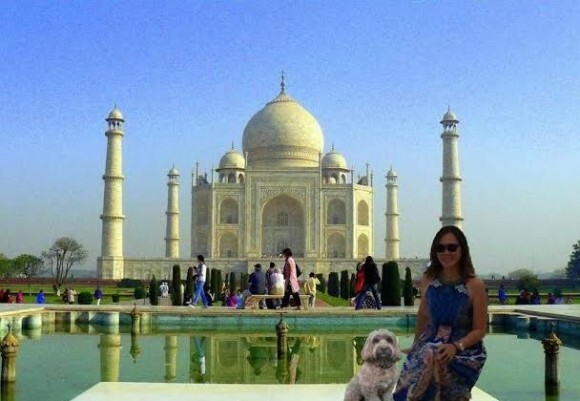 May’s comment: So Impostor was conceived from the desire to have my photo taken in front of the Taj Mahal with Darcy. 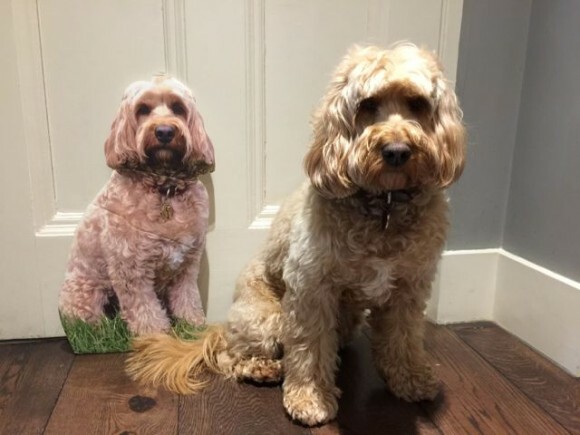 She looks real enough but somehow the grass at her paws gives it away. LOL! 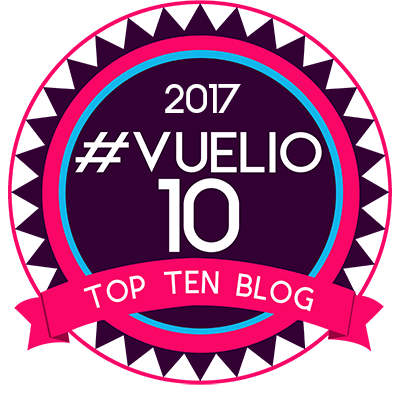 Since then Impostor became a good means to just continue blogging while on my travels. 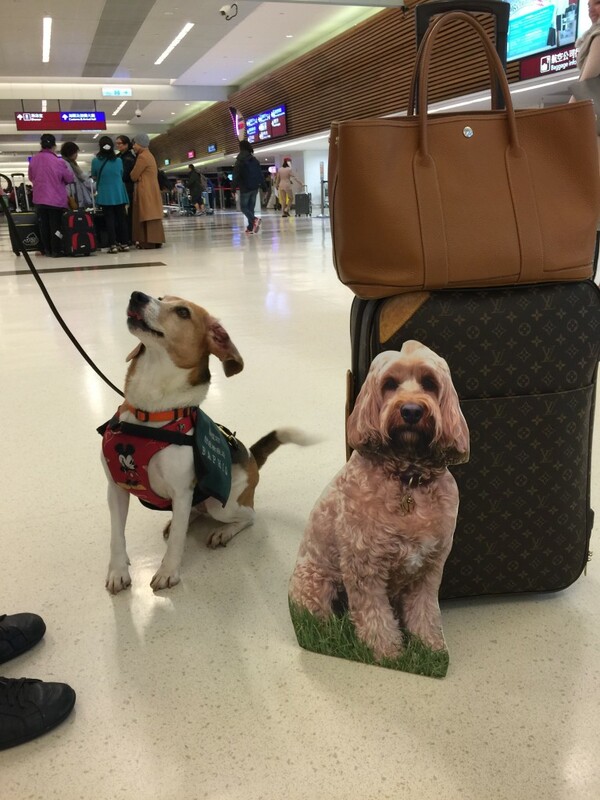 We’ve taken quite a few photos of Impostor in places where dogs are not allowed. 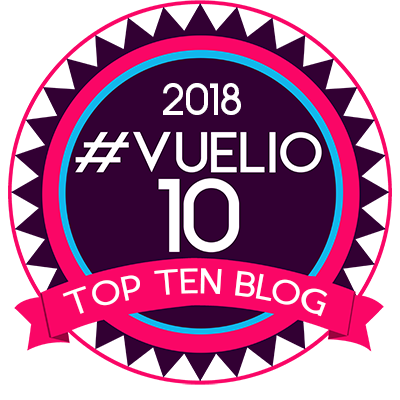 And I’ve been asked – what about George? 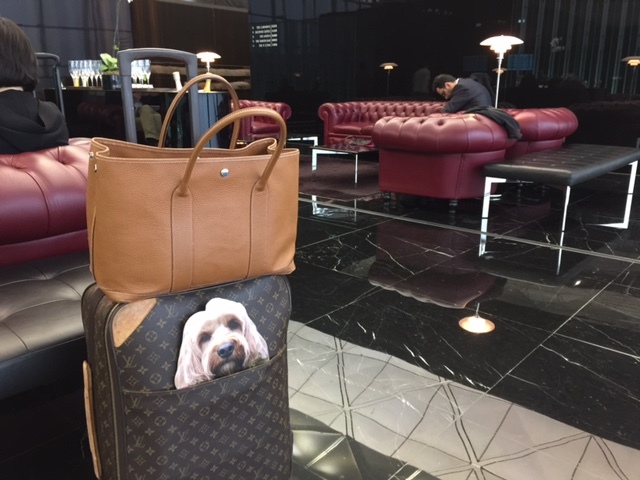 Travelling with one dog is problematic enough. Two, even in 2D just adds to the hassle! And the chances of Georgie coming with me on long distance trips are also much higher.